Although the word "tofu" may sound a bit foreign, many fine it far more palatable than the more descriptive "soybean curd." Whatever you call it, tofu is a staple in both Asian and vegetarian diets. It's low in fat, high in nutrients, and incredibly versatile in cooking. "I came home with this white block of stuff and had no idea what to do with it. I ended up shoving it down the garbage disposal!" Now, that's a sinful waste of good tofu. Don't let it happen to you! Get the lowdown on this high value vegetarian staple. Chinese-style tofu is the kind most familiar to Americans. It's found in the refrigerated section of the store packed in water and has a variety of textures. This is the type most popular with Americans. The firmer the tofu, the "meatier" its texture, so it's often used to modify meat recipes into vegetarian ones. It's a good introduction for people who are a little skittish about trying tofu. Since the texture is more familiar, people are more comfortable with it. • Firm & Extra Firm tofu holds its shape easily and is good for grilling and stir frying. It can easily be crumbled for use in salads. • Soft Tofu: This is slightly softer than firm tofu and a good option if you're going to mix the tofu with other ingredients in a casserole or pasta stuffing. It can be stir fried, but won't hold its shape as well as firm tofu. Japanese-style tofu, also called silken tofu, has a very uniform, almost slippery texture. It doesn't crumble, but blends very well into drinks, puddings, desserts, or any recipe that needs a smooth texture. It comes in both soft and firm consistencies, but must be handled very carefully or it will fall apart. Silken tofu isn't well-suited for stir-frying or grilling, but works very well in soups. As more people become interested in healthier eating and vegetarian diets, the selection of tofu has increased markedly in the past decade. • Water-packed tofu: This fresh tofu is sold packed in water in small plastic bins. • Aseptic packaging: These small boxes don't require refrigeration and they're shelf-stable for about a year. Tofu in aseptic packages is always silken tofu but may be soft, firm, or extra-firm. 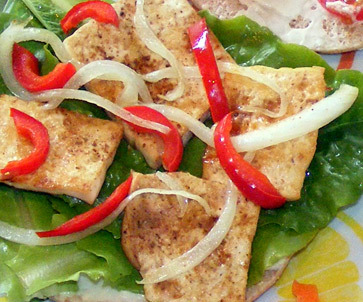 • Cooked tofu: This may be marinated with a variety of flavors, baked, and packaged. It's refrigerated and ready to eat right out of the package. It's easy to find in natural foods stores and many large supermarkets carry it as well. It's good to slice in sandwiches or use in grilling or stir-frying. Be aware though, that's cooked tofu is usually strongly flavored. 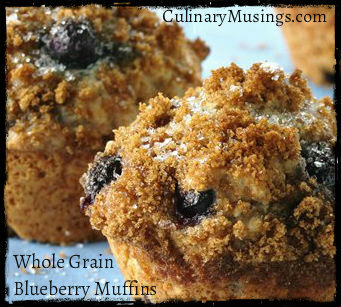 Taste it to make sure the flavor melds with your other recipe ingredients. Once opened, you need to store leftover tofu in your refrigerator packed in water in a sealed container. Use it within a week of opening. Cooked tofu is sold in sealed packages, but not packed in water. Once you open the package store the leftover cooked tofu in an airtight container and eat within a week. Don't worry about accidentally using tofu that's gone bad. Legumes have a distinct – quite terrible - odor when they go bad. Your whole neighborhood will know when you open a container of spoiled tofu! Many recipes instruct you to drain your water-packed tofu prior to using it in a recipe. And that is an important step if you plan to fry it or use it in salad. However, if you're using it in a casserole or any recipe that needs a wet mixture, draining isn't necessary. Water-packed: To drain tofu, cut the block into ½ inch slices. Place the slices on a double-thickness of paper towel and cover with another double thickness of paper towel. Press down lightly to push some of the liquid out of the tofu – not too hard or you'll end up with mashed tofu instead of slices. If the paper towels immediately become saturated, add a few layers more. Let the tofu sit for about 10 minutes. Note: some cooks press their tofu with a heavy weight (like a brick) for an hour or more, trying to get every drop of water out. If you have time, go ahead, but this quick method works just as well for 90% of recipes. Aseptic packages and/or silken: Be careful about draining silken tofu because it's very delicate. It falls apart easily and sticks to the paper towel. For most recipes, use it directly from the package. Once you've chosen the best type of tofu for your recipe, you're ready to start cooking with it!